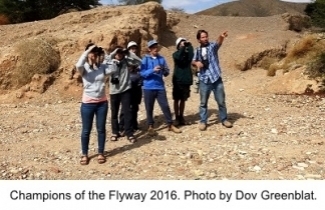 SPNI and BirdLife International are co-sponsoring Champions of the Flyway, the birding equivalent of the World Cup. Funds raised from the competition will go towards reducing the millions of birds that perish at the hands of hunters each year while migrating through the area. Click here to learn more about the competition!